In the automotive industry, advanced safety technologies are becoming more and more important. Because of this, it is no surprise that Ford has decided to expand its already long list of available driver-assist tech. The American carmaker has introduced a number of new Ford safety technologies, including next-generation features designed to make parking easier, help avoid collisions, avoid wrong-way driving, and detect obstacles in the road. Cross-traffic alert with braking technology is the first new feature in development at Ford. This will make parking easier by detecting people and objects passing behind the vehicle, warning the driver of these obstacles, and automatically braking. Evasive steering assist is also a new technology that helps avoid collisions by steering drivers around stopped or slower vehicles. The hope is that this technology will reduce the amount of collisions that occur. One of the most innovative technologies is wrong-way alert. This uses a windshield-mounted camera and information from the vehicle’s navigation system to alert drivers when they are driving the wrong way against traffic. The new Ford safety technologies even includes Traffic Jam Assist, which keeps the vehicle centered in a lane during traffic. 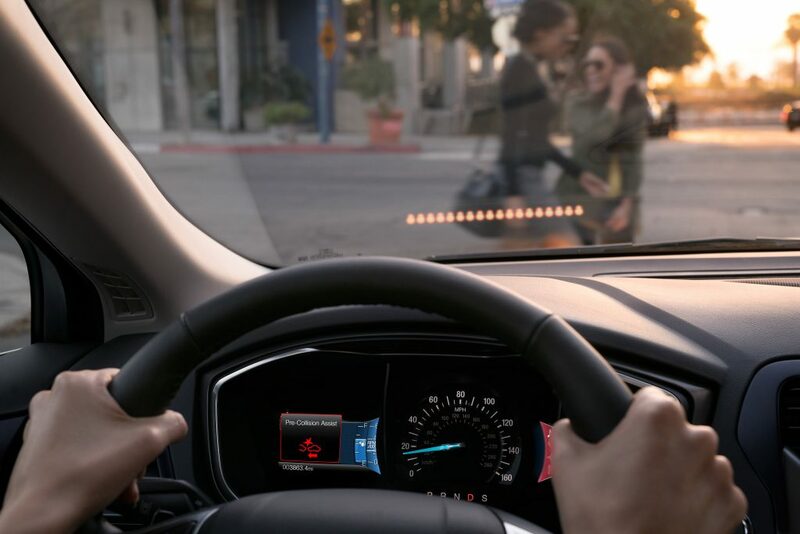 Ford currently offers the most models in the US with adaptive cruise control, forward collision warning, lane departure warning with lane-keeping assist, and more safety technologies. Stop by Shults Ford of Wexford to see what else these safety-savvy vehicles have to offer.